We got a taste for the history of Ireland yesterday at the National Museum here in Dublin. 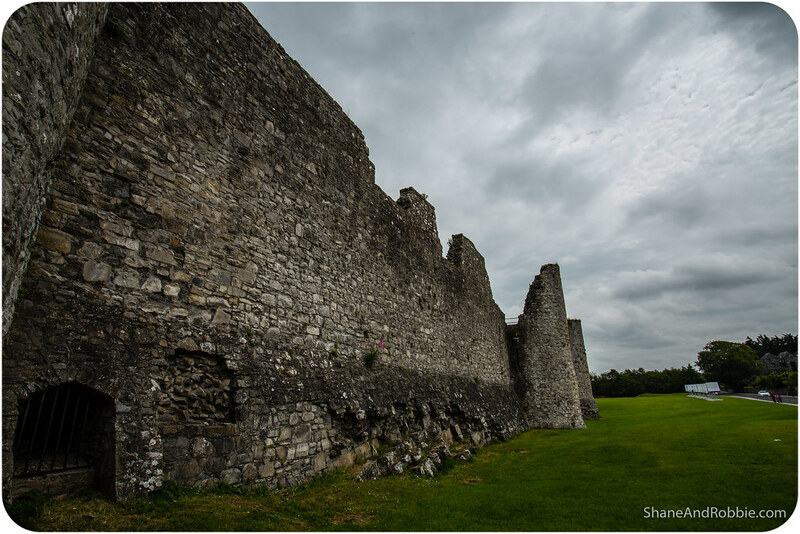 Wanting learn more we set out today to explore the Boyne Valley, arguably Ireland’s most important historical region. 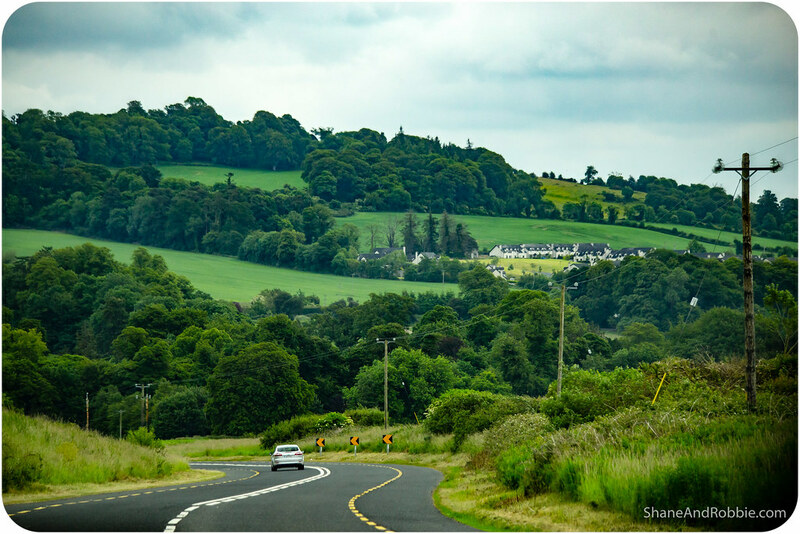 This rich alluvial plain just north of Dublin was was the political centre of Ireland for thousands of year, from the Neolithic period to the 12th century. So important was the area that it was once said that “he who controls the Boyne, controls Ireland”. Knowing that this area contains more ancient archaeological sites than anywhere else in Europe, as well as a few good medieval ruins for good measure, we just had to go! 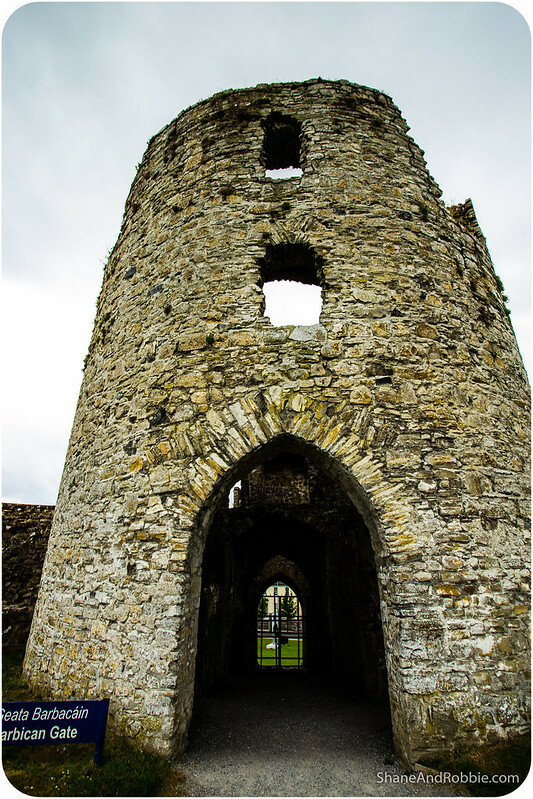 We decided to explore the Boyne Valley with a tour company that specialises in small group tours (much better than being on a big coach), and has a reputation for imparting lots of good information. We’re so glad we did it this way, because without the guide many of the sites may have been a bit…., well, boring. 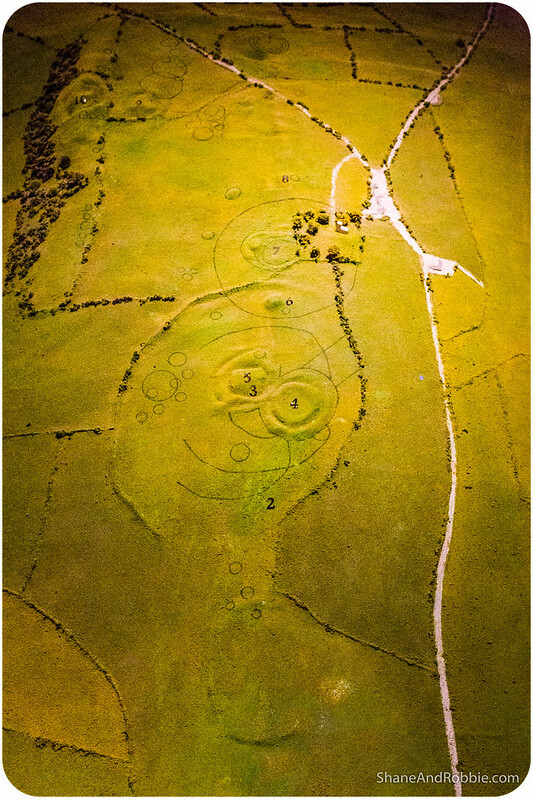 The Hill of Tara, for example, just looks like a grassed hill to the untrained eye (e.g. us), but with Terry guiding through, the site came to life for us. The Hill of Tara, located near the River Boyne, was once the ancient seat of power in Ireland – 142 kings are said to have reigned there. 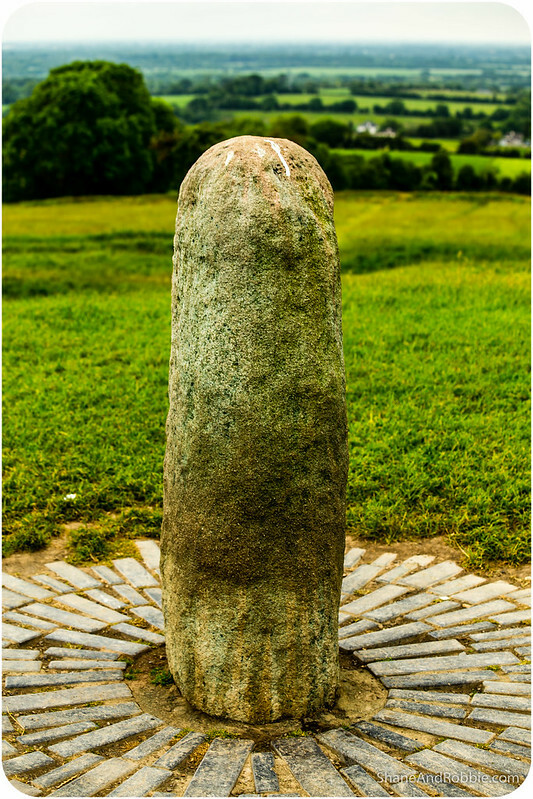 Tara was the political and religious centre of Ireland for 5,000 years; and in ancient Irish mythology it was the sacred dwelling for the gods, and the entrance to the otherworld. Today the entire area is an archaeological site and a UNESCO World Heritage Site, with The King’s Seat and The Stone of Destiny at its core. The Kings’ Seat looks like a hill, but this man-made mound was once a henge (like Stonehenge and Avebury in England) containing the residence of the High King of Ireland. 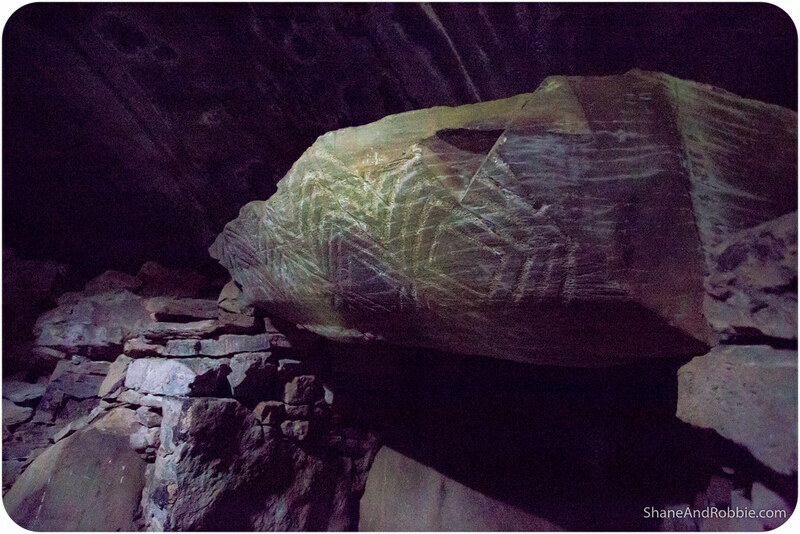 In the middle of the royal seat stood a stone, the Lia Fáil (Stone of Destiny), where the High Kings were crowned. 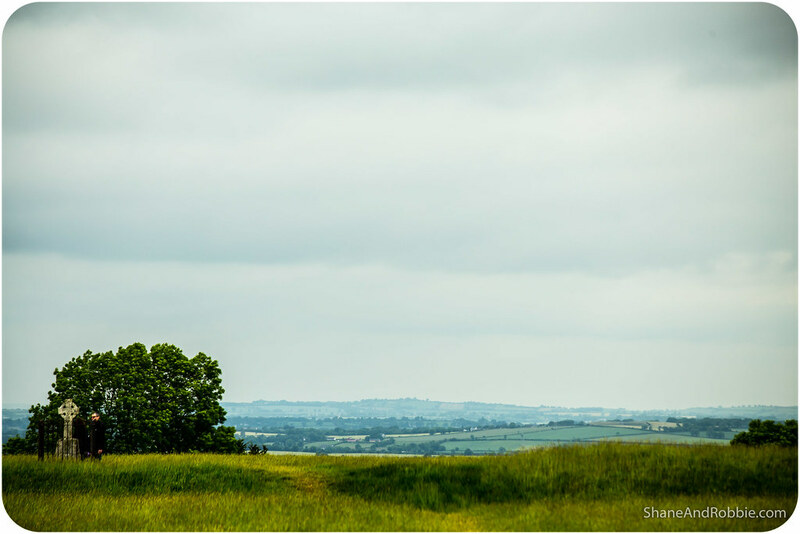 The stone stands there still, holding vigil over the Hill of Tara as it has done for millennia. 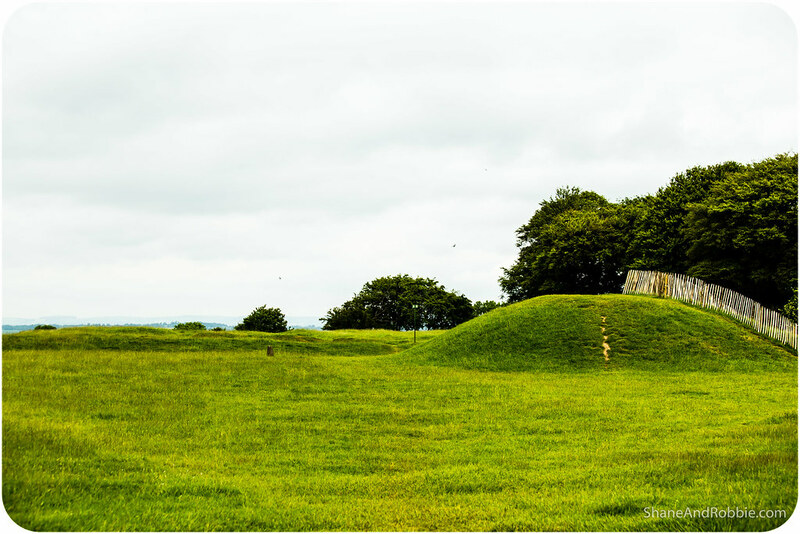 It’s no surprise Tara was such an important site; the hill affords great 360 degree views across the surrounding landscape and can easily be seen from miles away in this relatively flat, but very fertile*, part of Ireland. The earliest settlement at Tara have been dated to the Neolithic period, around 3,000BC, predating the great Pyramids of Giza by some 500 years. 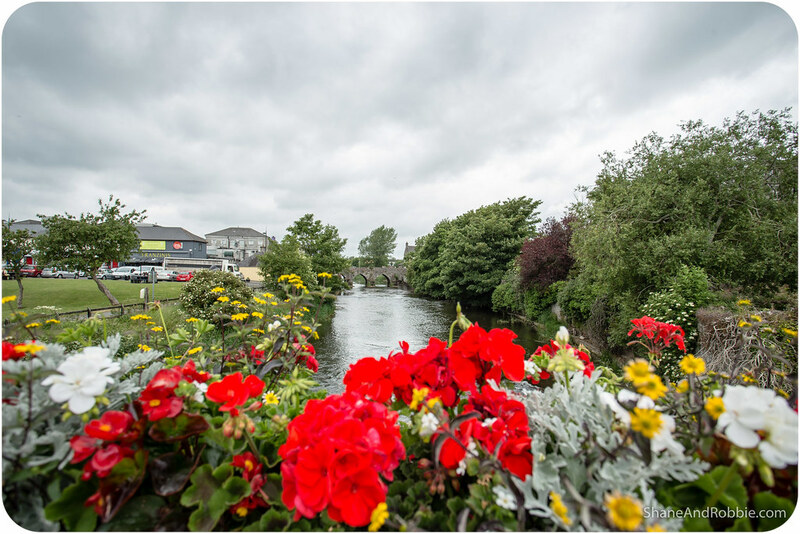 *Thanks to its mild weather and rich soils, Ireland is incredibly fertile. During the years after the Industrial Revolution it was Irish grain that helped feed workers in English manufacturing cities like Manchester and London. Even today Ireland produces enough food to feed itself and 10 million more people. 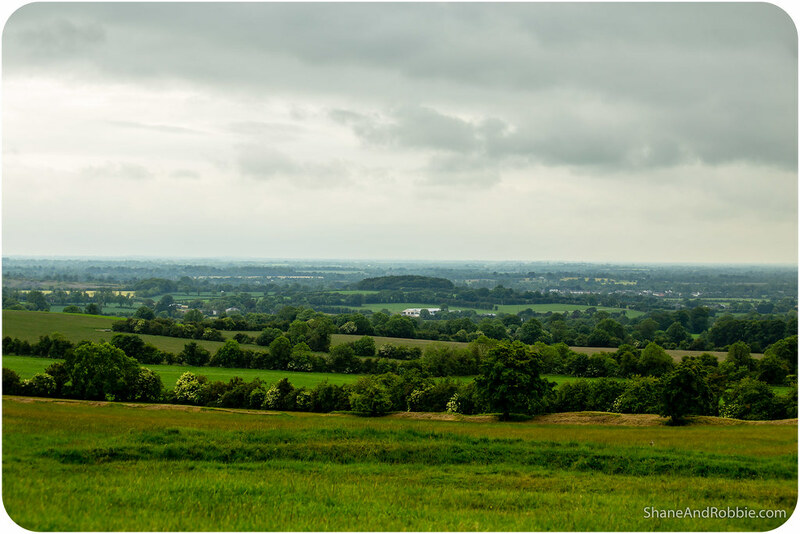 As well as the central Kings’ Seat there are at least 30 other monuments, temples, and burial mounds around the Hill of Tara. Of these only a few have been excavated and only the area around the Kings’ Seat is open to the public. We saw a great exhibit at the museum yesterday which gave an aerial view of what the area looks like. We can only imagine how the town must have looked when there was a large wooden fortress atop the Kings’ Seat and houses built all around. Somewhat anachronistically there was also an 18th century church on the Hill of Tara. This late addition to the site was built by the English during the Protestant Reformation of Ireland to assert the church’s dominance over these ancient, sacred pagan sites. Church’s can be profoundly spiritual places and many are beautiful in their own right, but to plonk one down in the middle of such a significant place as Tara is just awful! Still, it was easy to ignore the church and focus on the things that make the Hill of Tara so unique and fascinating. Not far from Tara, Brú na Bóinne further added to our appreciation of ancient Celtic history in Ireland. 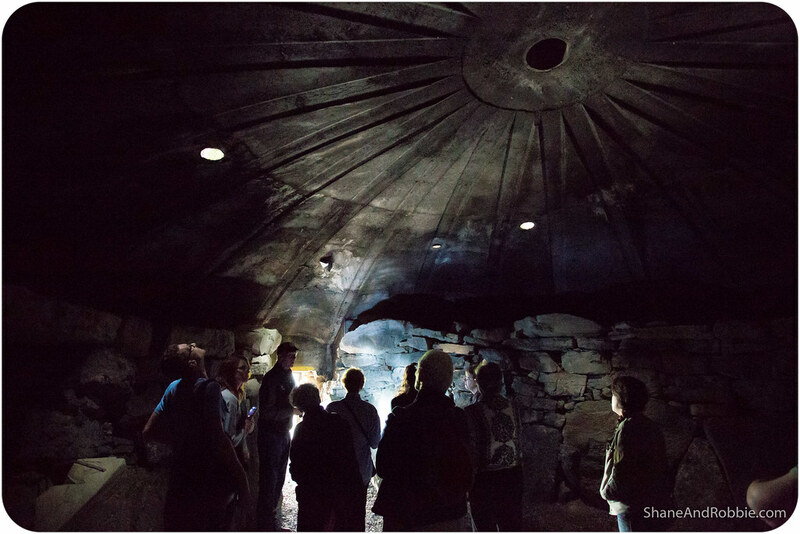 This prehistoric sacred site covers hundreds of acres and houses more than 40 Neolithic burial tombs and temples. 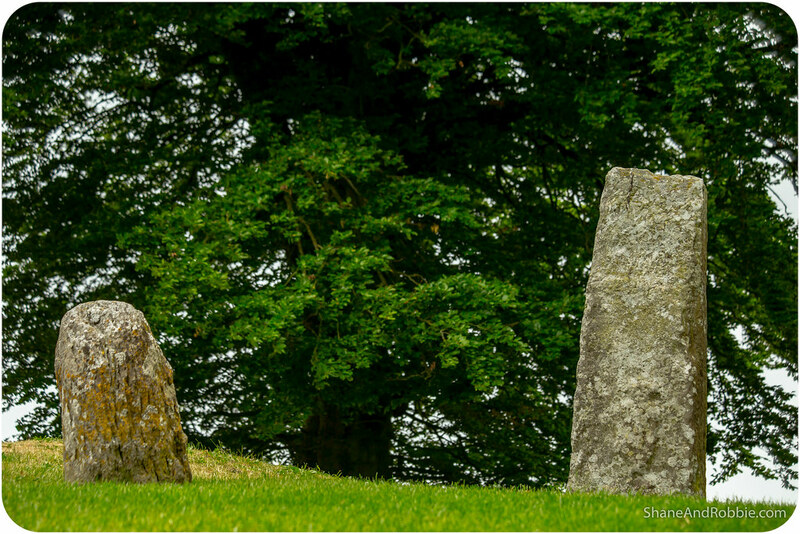 It was here that the pagan Celts interred their royalty and celebrated the summer and winter solstices (i.e. the longest and shortest days of the year, respectively), and the spring and autumn equinoxes (i.e. dates when day and night are of equal length – forbearers to the Christian festivals of Easter and Halloween). The tombs at Brú na Bóinne were temples as well as tombs. This was where the ebbs and flows of seasons, of the sun and the moon, and of the heavens, were followed and marked. This is why Newgrange is aligned to the path of the sun at sunrise during the winter solstice. 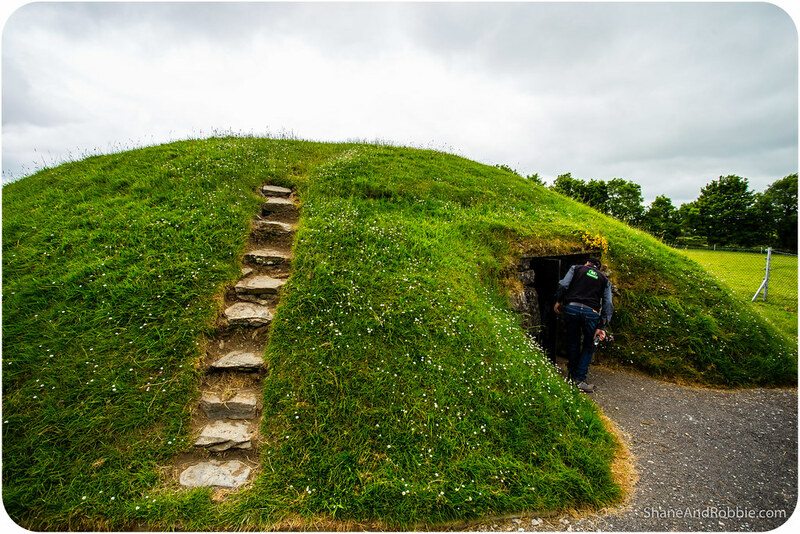 Partnered with Newgrange is another tomb/temple that we got to visit today called Fourknocks, which is aligned with sunrise during the summer solstice. Much smaller and less touristy than Newgrange, it was great to visit Fourknocks as we had the site to ourselves and actually got to go into the tomb. Inside we got to see the intricately carved stone lintels above each sacred alcove and the entry, as well as where the ashes of the cremated dead were housed. It was pretty cool, standing under all that earth, imagining the pagan priests of ancient Ireland welcoming the sunrise early one June morning many eons ago and praying for a good harvest and the safety of their people. All those pagan rituals gave way to Christian ones in the 5th century when St Patrick arrived from Rome and converted the High King and Ireland’s elite from their pagan ways. 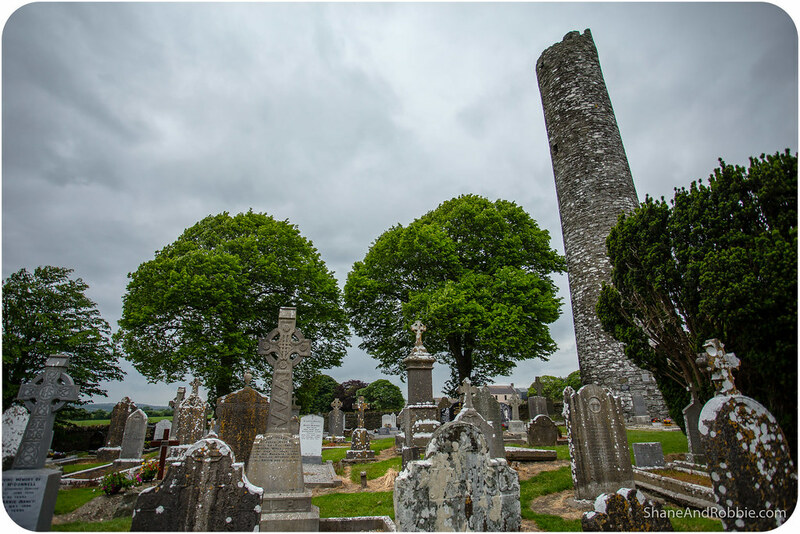 One of the first monasteries established in the newly baptised nation of Ireland was at Monasterboice, just a few kilometres from Tara and Brú na Bóinne. Now in ruins, Monasterboice was founded in the late 5th century and was an important centre of religion and learning for 600 years. 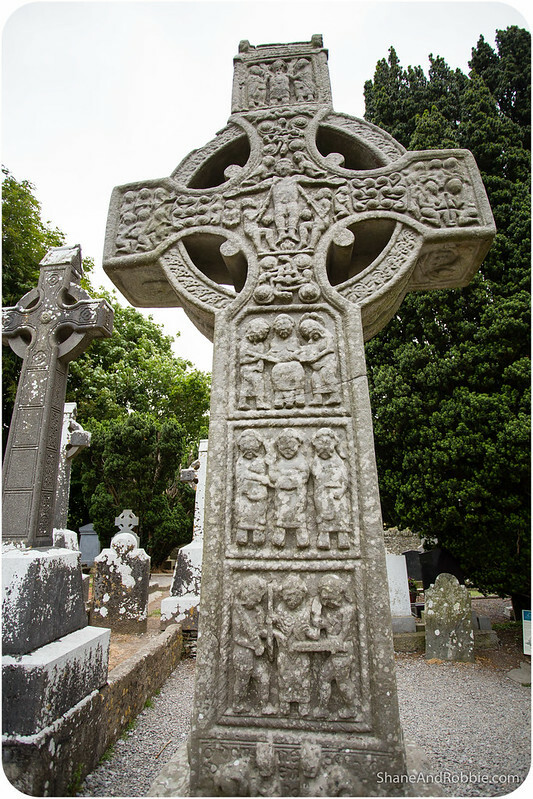 Today it’s most famous for its 11th century Celtic crosses, the best preserved in Ireland. Carved from stone and decorated with carvings these were used to teach an illiterate populace the Gospel centuries ago. Once painted and colourful, the 3 Celtic crosses at Monasterboice are today just stone, but in remarkably good shape given their age and exposure to the elements. 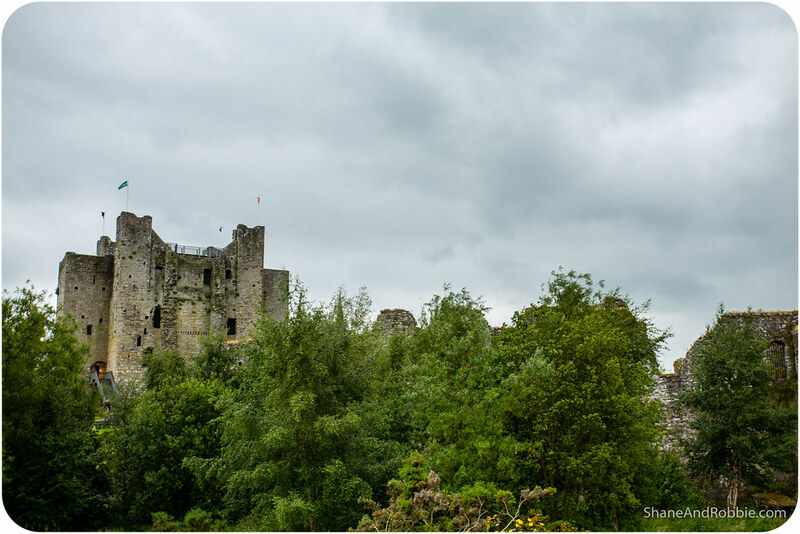 Moving forward in time through Ireland’s history, we then travelled to the cute little town of Trim where Ireland’s largest Norman castle dominated the landscape. 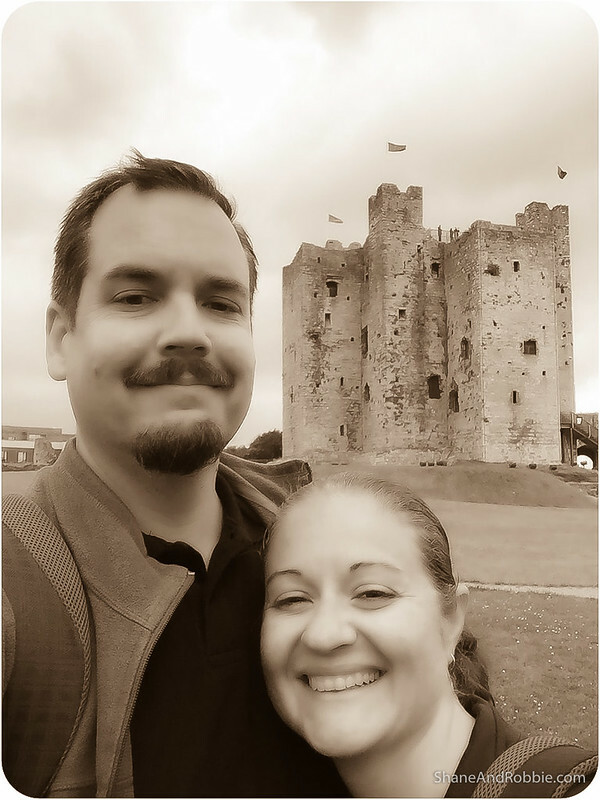 So impressive is Trim castle that it caught the attention of Hollywood a few years ago and became the backdrop for Mel Gibson’s movie “Braveheart”. 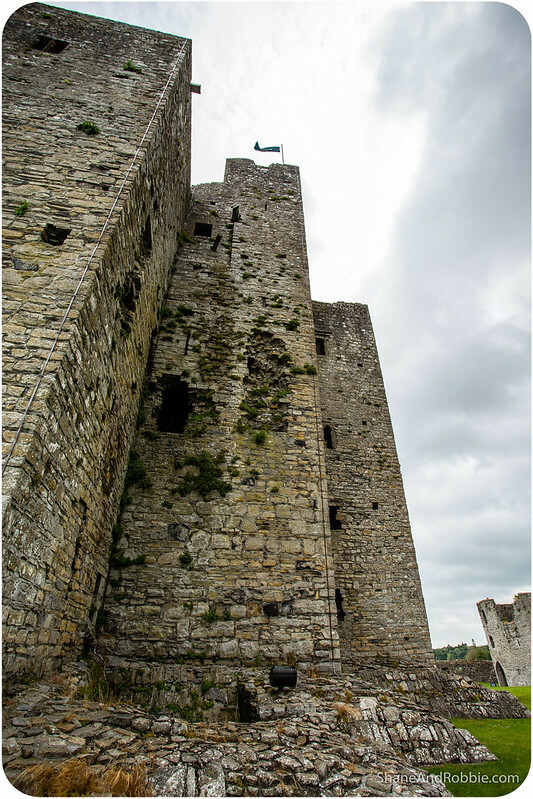 Built in 1172, Trim Castle was a fortified stronghold positioned at the fringe of the Norman territories* of the day. Even now the castle is impressive, despite many of the outer walls and out-buildings being in ruins. *In the early days of the Norman invasion of Ireland they occupied the area around Dublin, including the Valley of Boyne, Hill of Tara and Brú na Bóinne. To the west, however, was a vast territory of land still ruled by savage Celtic tribes. Which is why the Norman needed such an epic castle to defend against Celtic incursions. Our final stop for the day was the village of Slane, most famous for its castle* and as the site of the Battle of the Boyne. Fought in 1690 between the armies of the Catholic James II and Protestant William III, the Battle of Boyne is often cited as one of the most important events in Irish history. 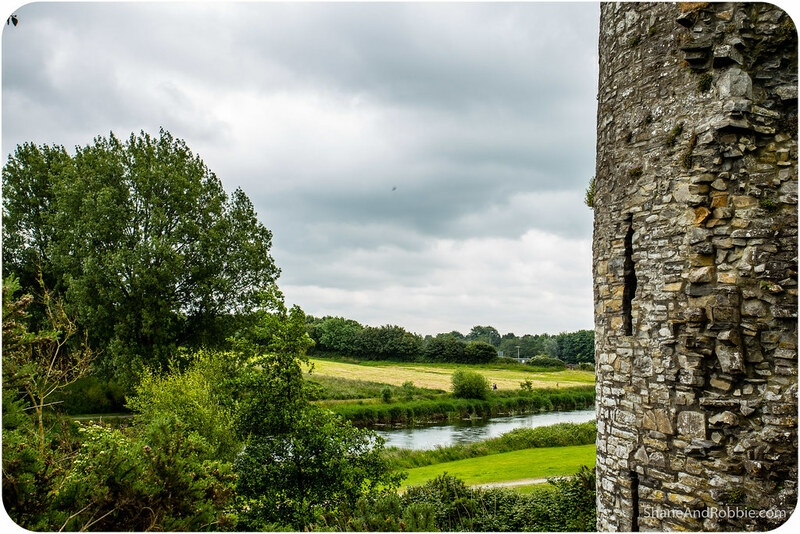 The battle took place across the River Boyne near the town of Drogheda on the east coast of Ireland, and resulted in a victory for William**. This ultimately ensured the continued Protestant ascendancy in Ireland and put the Irish Roman Catholics on a path to becoming second class citizens in their own country. *Slane Castle has been the family home of the Conyngham family since the 18th century. It’s still privately owned and each year the family opens the estate for a series of concerts. 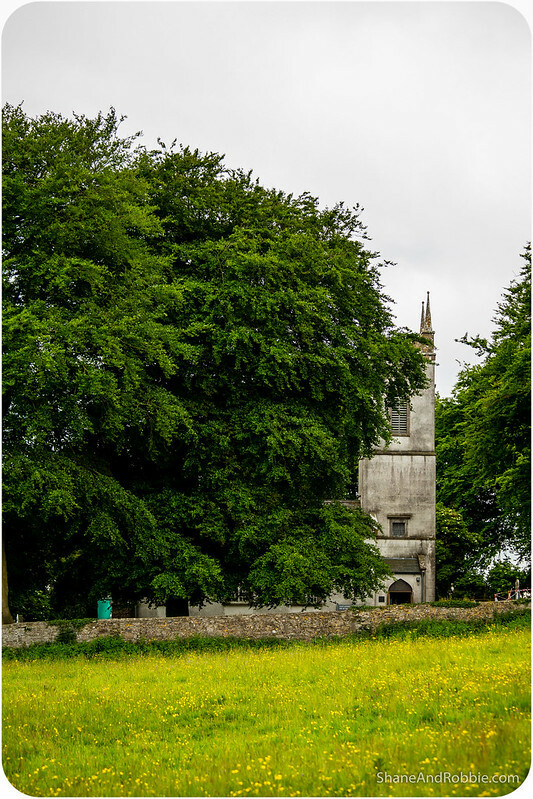 Slane’s sloping lawns form a natural amphitheatre and have hosted performances from bands as diverse as U2, Queen, The Rolling Stones, Guns & Roses, and Oasis. **It’s William of Orange’s victory that is celebrated every year on July 12th with the Orange Day parades in Northern Ireland. The more modern aspects of Irish history (i.e. 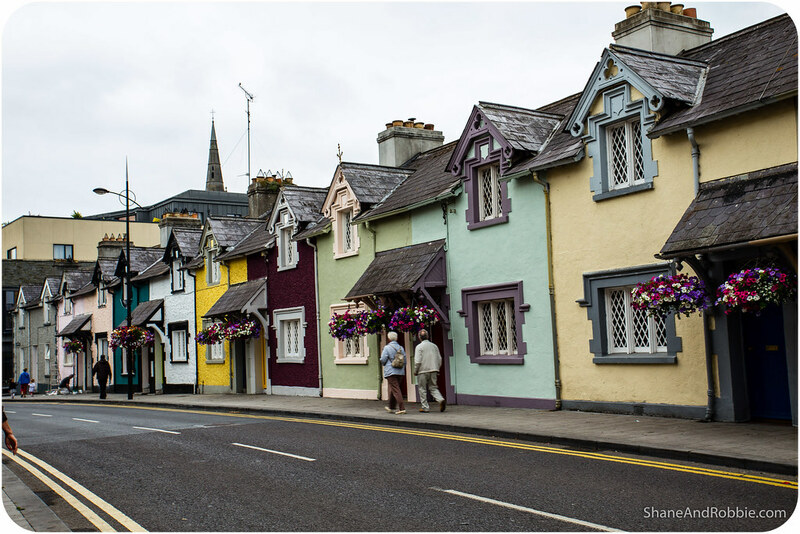 the years of English rule in Ireland) are familiar enough to us, after our weeks of travel through the country. It was great to visit some of the sites associated with Ireland’s older history however. Learning about the significance of places like Tara and Brú na Bóinne gave us a great appreciation for the roots of modern Ireland. As great as Monasterboice and Castle Trim were, the best parts of today were undoubtably those that revealed a bit of ancient Ireland to us.